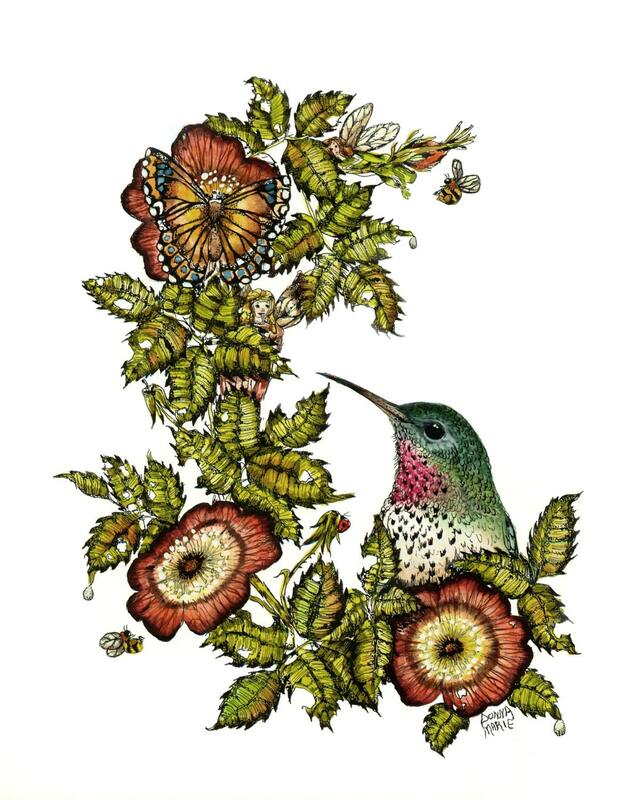 This whimsical print would bring a touch of nature’s innocence to a child’s room or babies nursery. Look closely to search for hidden treasures. I love to create paintings that spark the imagination. -This is a print of my original watercolor and ink painting. - Print size 8" x 10"
-Copyright of work, including all rights of reproduction in any form, are held by the artist. Buy 2 get a 3rd of your choice.